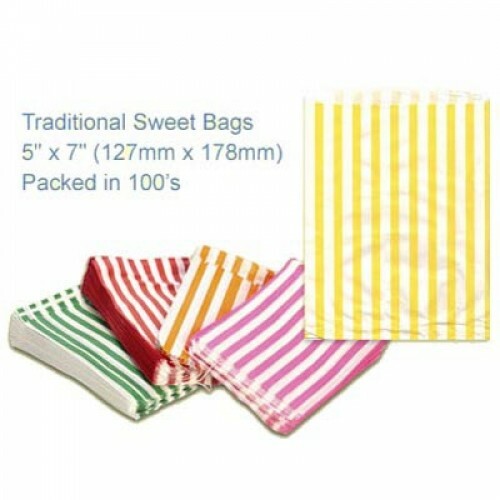 These candy striped retail paper bags are made out of high quality 38gsm white kraft paper and are perfect for sweets or other food items. The bags are strung together at one corner in bundles of 100. 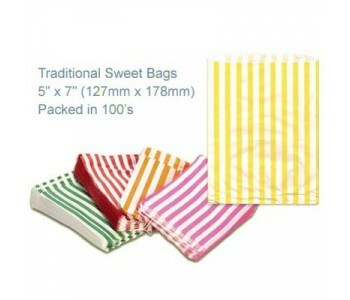 Each striped bag measures 5" x 7" (127mm x 178mm). These candy striped retail paper bags are made out of high quality 38gsm white kraft paper and are p..